Mr. Jérôme Beligné, you are one of the members of the Henokiens Association, could you please present yourself to our readers? Jérôme Beligné > I was born in 1984 in Dijon. I graduated both from an engineering school and a business school.I worked for 3 years in an investment bank and then in an industrial company. I joined the family business in 2014 and I was appointed President in 2015. I represent the 14th generation of the family running the company. 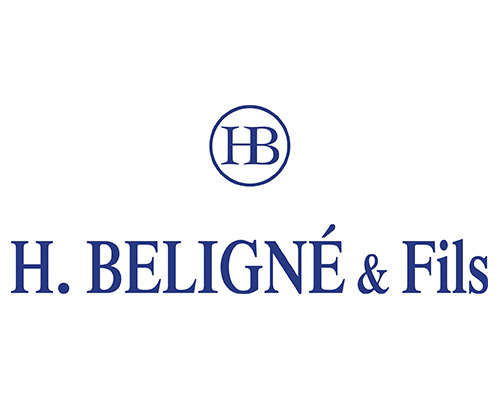 Jérôme Beligné > Our company was founded in 1610 in Langres (Haute-Marne, France). In the beginning we were pocket and table knives manufacturers. We also produced surgical instruments and scissors. The company has turned gradually to a trading and distribution business. Nowadays, we represent and distribute many cutlery brands in France, including Victorinox, manufacturer of the original Swiss Army Knife, which we have been proud to represent since 1914. Jérôme Beligné > Recent changes in our customers’ needs led us to adapt and modernize our organization. We heavily invested in a new warehouse and in robotic equipment allowing us to automate part of the order-picking process. Therefore, we can process larger volumes with greater efficiency and responsiveness and deliver our customers in 24 to 48 hours. In addition, we have opened an online B2B order portal to our customers for two years. It has been a very effective tool since its launch, as it allows us to process today between 20 and 30% of our orders. Jérôme Beligné > Our strength lies in our ability to select, store and distribute new products and brands that will answer to more and more customer’s needs. We now have more than 5000- SKUs and we will continue our development by expanding our product offering. Finally, even though we do not have any concrete project at stake yet, we will not forget looking at external growth opportunities. Jérôme Beligné > Every generation in the company has shown great capabilities such as anticipation, agility, creativity and adaptability to the opportunities and challenges of its time. After more than 400 years, we have made this analysis our motto "Adapt or disappear". Jérôme Beligné > This may seem like an asset because it demonstrates our legitimacy and our business historical know-how. I really think that it drives us to work hard to be even better and to bring a perfect quality of service to our customers in order to preserve our reputation and strengthen our position. Having an exceptional company history is obviously not enough, we must constantly question ourselves in order to satisfy our customers’ needs and ensure our sustainability. Jérôme Beligné > Nowadays, it is difficult to have a clear vision and a long-term strategy in a world that is increasingly short-term where everything evolves very quickly. I believe that our family values have forged this desire to transmit our company from generation to generation and it is probably the most important to keep our independence. Jérôme Beligné > No, I became a father just two months ago so the question is not really for today! Of course, if one day one or more of our children want to join the company, I would be very happy, but they will first have to work within other companies like my father and I did.